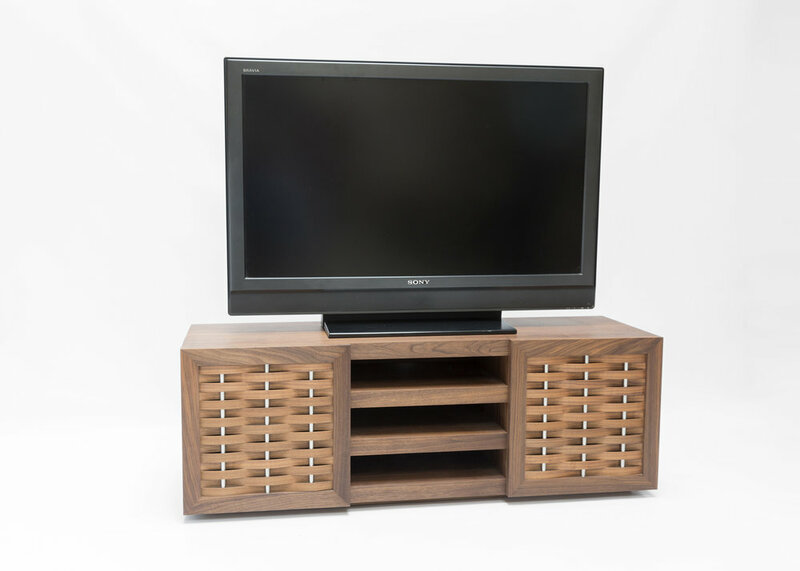 This TV unit was designed around my client’s existing devices, incorporating spaces for their set top box, DVD player and a games console with additional cupboard space for controllers, games, DVDs etc. They wanted an alternative to the array of ‘black glass’ style units available on the high street. 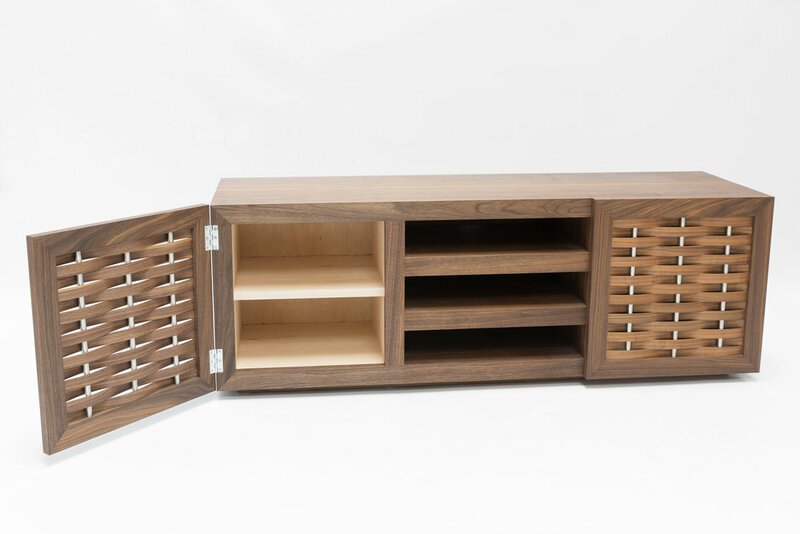 The cabinet is part of my ‘Watul’ range with the undulating texture of the woven panels softening the rectangular shape of the piece, whilst the stainless steel offers a link to the modern technology that is housed within. 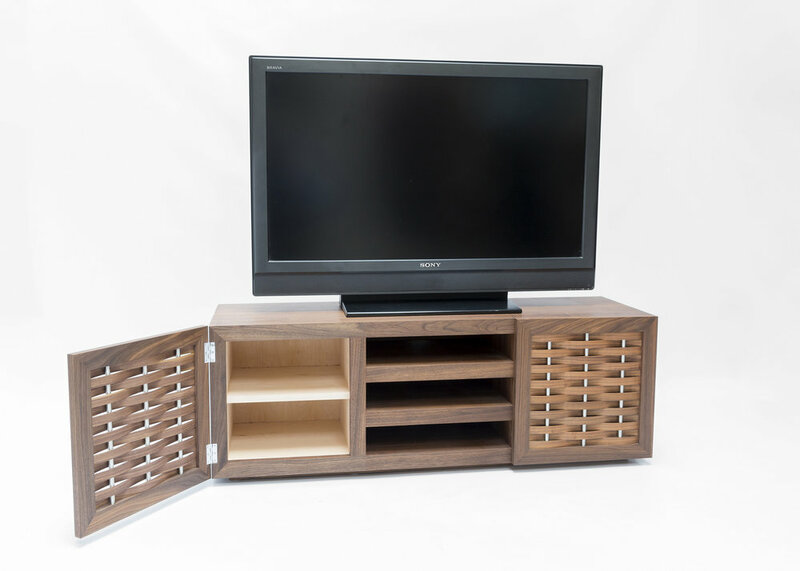 This piece could be produced or adapted to suit other functions or spaces, whilst other timbers are also very possible.